Like every working musician today, I find myself looking for music work and getting attached to various side projects in a never-ending quest to get my name out and score some more prestigious assignments. This is sort of the misc. section for me but there should still be some good content here to find. 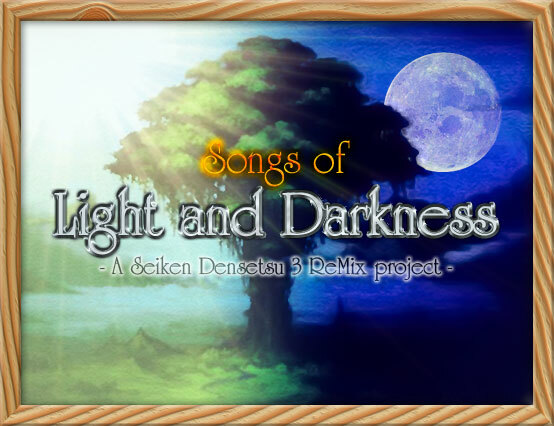 This is where I'll be sticking videogame compositions I can post (until they become albums), OCR project related stuff and then some. This is a cancer benefit album started by ocremixer Josh Whelcel that has found remarkable success through the videogame, underground and benefit music channels. I am on here twice; as both the longest track (my "Sagetellah" track with Michael Hwang) and the last track (an unmastered "The Heavenly Integer" as a bonus). This is a 2 disc set with 43 tracks on it (that's right, 43 songs on a BENEFIT album) and there's hours of great music on here by better artists than I, including Bradley Burr (who built my computer) FFMusicDJ and Mr. Whelchel himself, so pick it up today as huge proceeds go to fight cancer on a worldwide scale. 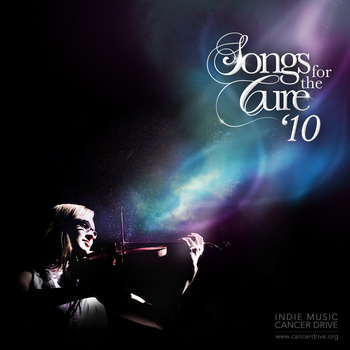 I'm also set to be on one of the Songs for the Cure '11 albums, but I'm not sure which one as of yet. I'll change this as I know and make it available. What started out as me helping to facilitate this project as I have three remixes on it became a full-on side job as I'm now assistant director for one of the longest running, largest remix projects in Ocremix.org history! This is a 3CD sized endeavor where we explore Hiroki Kikuta's magnum opus with orchestral, world music, rock, acoustic, heavy metal, march and more! Basically everything but electronica for some reason - I don't entirely agree with that policy but we're so close to done it doesn't matter. I will update when it is FINALLY finished and hopefully load it up to a bandcamp style page where the music player can be embedded here. This was an iPhone game developed by Don Nguyen that I did some rather bad tracks for. :P I don't think anything exists of this game anymore but at one point I got exposure to 31,000 people! Whoopie! As of writing (9/9/11), I have nearly completed 13 prog-rock/electronica/orchestral MIDI tracks for a Tower Defense Game on the Android by Mike Bosetti. This is actually some of my best game work yet, and I am even interested in arranging them for MP3 consumption once I get a bunch of busy work out of the way. My first paid game work as I did 5 tracks during Autumn 2010 for Mark Udit's platformer game which is still in development. Mark Udit is one of the best music employers I've ever had and I can't wait to see this game come out. The 5 tracks I did for it appear in Meteocrity Vol. 1. More on this to come! This is just something old I did for fun after I learned how to rip SFX out of the Zombies Ate My Neighbors ROM. Enjoy! 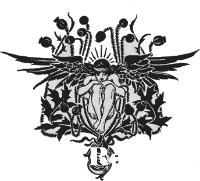 This was a quick single release on SGX's old Protagonist Records site before it went down. There's not much to it really, just a laid-back track with lots of SFX dressing it. Enjoy! This track is only significant for two reasons - 1. It is an early version of Navi Whisperwilde from ESPERS and 2. for some reason when I google 12 Followers/Meteo Xavier to see where my stuff is at, I see this track the most on all the MP3 sites. Strange, yes?